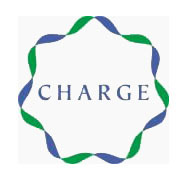 CHARGE (Childhood Autism Risks from Genetics and the Environment) was launched in 2003 as the first comprehensive study of environmental causes and risk factors for autism and developmental delay. The CHARGE study recognizes that no single factor accounts for all autism cases, nor is there one event or exposure that can be responsible for the rapid increase in diagnoses over the last few decades. Instead, each child’s path to altered brain development may be different. Both genes and non-inherited factors contribute to autism, developmental delays, and children’s behaviors. The CHARGE study has been the first to identify an interaction between genes and environment: specifically we showed that the combination of certain unfavorable genes and a lack of prenatal vitamin supplementation in the preconception period led to exceptionally high risk for autism—as much as 7-fold! We also found that both the mother’s and the child’s genes could have this impact. Children with autism or developmental delay are identified with assistance from the California Department of Developmental Services’ Regional Centers. Other children come from the community at large. Children are assessed for their stage of social, intellectual and behavioral development. In addition, information is collected about chemicals in the environment at home and elsewhere, medical history, diet and other aspects of their lives, before and after birth. We also look at factors that may affect brain development, including cells in the immune system, chemicals that regulate the nervous system and lipids such as cholesterol. Assessments are performed at the UC Davis MIND Institute in Sacramento and an extensive interview is conducted by telephone. © 2012 UCDMC. All Rights Reserved.